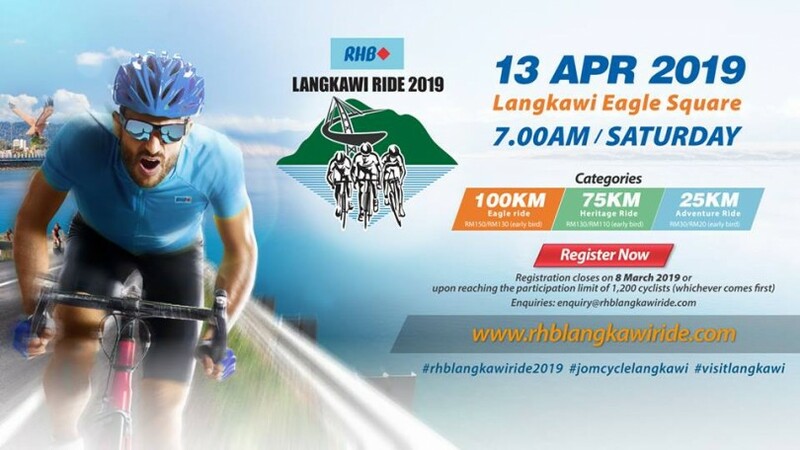 KUALA LUMPUR – January 14, 2019: The RHB Langkawi Ride 2019, which will take place on April 13, is now open for registration. 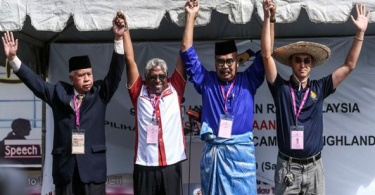 The event is expected to attract 1,200 local and international cyclists in the 100-kilometre Eagle Ride, 75km Heritage Ride and 25km Adventure Ride around the scenic island of Langkawi. Participants can log on to www.rhblangkawiride.com and register online until March 8. Special early bird rates are available. Normal participation fees for the 100km ride is RM150, 75km (RM130) and 25km (RM30). Fee for corporate teams is RM1,000. The 100km Eagle Ride covers 18 attractions around the island, from Eagle Square to the ferry harbour. This route is divided into a few categories: Men and Women’s Open (18 and above), Men’s Veteran Open (45 and above) and Corporate Team (men and women aged 18 and above). The 75km Heritage Ride spans 14 interesting spots, including the Lucky Temple, Wildlife Park, Black Sand Beach, Gunung Raya and the legendary Mahsuri tomb. This route is divided into two categories: Men and Women’s Open (18 and above) and Men’s Veteran Open (45 and above). The 25km Adventure Ride, which is open to those aged 13 and above, is a fun ride that starts at Eagle Square and ends at the ferry harbour.